Google announced in July that it will launch Google Chrome Operating System targeting netbooks initially and later with the possibility of extending it to the laptops and desktops. 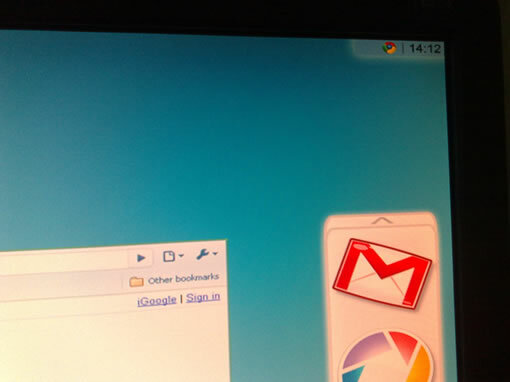 Since then some screenshots are popping up as early builds of Chrome OS, they may be fake and we donâ€™t know yet. 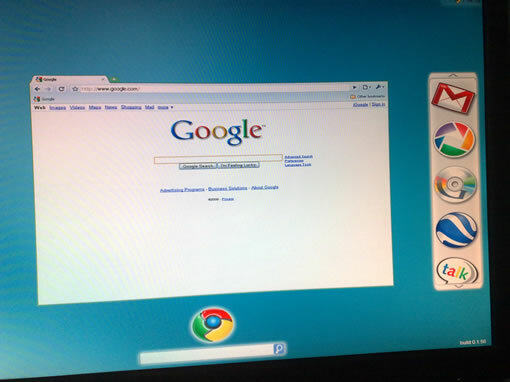 Today Techcrunch posted a couple of screenshots of Chrome OS, donâ€™t take it for granted as they may very well be fake. There is nothing great in those screenshots except a Google Chrome browser, search bar and gigantic icons of Google Apps. This OS is supposed to be simplest so these screenshots may be real or a photoshoped ones. Great big ads for all of Google’s products. I think i’ll pass on this “OS”. Is Chrome designed for netbook only? I have installed Chrome OS on one of my laptops. Well, it feels like Ubuntu GUI the first time i use it. It is pretty much very basic.